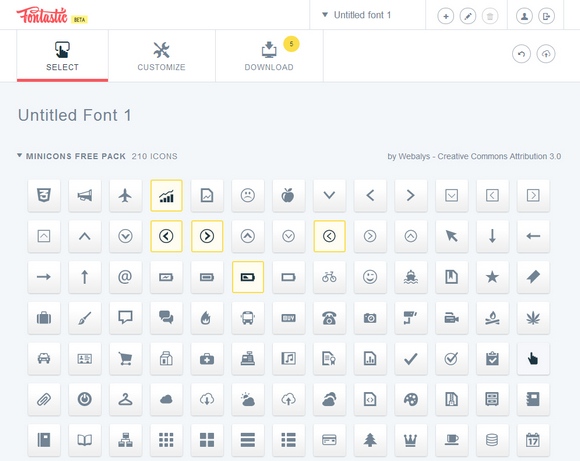 Fontastic helps you create your customized Icon Fonts. You can save time adding icons to your websites, get crispy clear icons and speed up your website in seconds. Fontastic will revolutionize your Web Design process. Simple click to select the icons to your font. By including only the icons you need, you make your website faster. You can also customize your font. Keep the standard settings, or change the character and CSS mapping to make it easier to code. And finally download a packaged folder including all the fonts, the HTML & CSS code, and a reference page. Really nice post. Thanks for sharing this useful post.